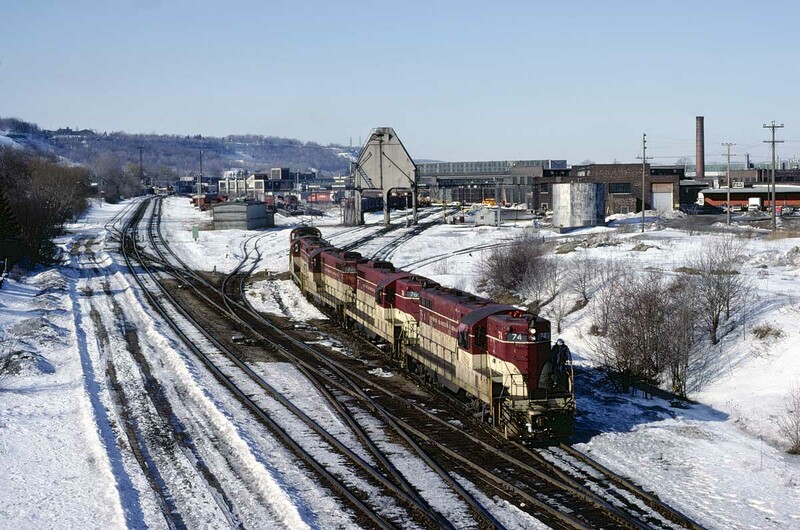 Railpictures.ca - Dave Beach Photo: The power for a unit train bound for the fertilizer plant in Port Maitland leaving the ready track at the Chatham Street roundhouse on February 28, 1982. | Railpictures.ca – Canadian Railway Photography – photographie ferroviaire Canadienne. Caption: The power for a unit train bound for the fertilizer plant in Port Maitland leaving the ready track at the Chatham Street roundhouse on February 28, 1982.